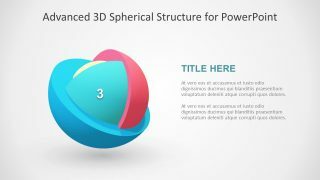 The 3D Model Segmented Core PowerPoint Templates is a sphere shape diagram to display 4-layer structure. 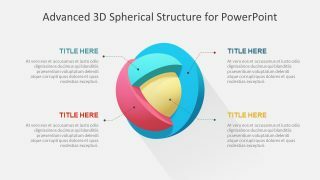 The template provides an illustration of concentric circles in 3D graphics globe design. 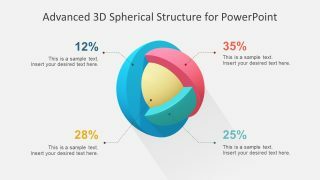 Basically, the 3D model PowerPoint contains four isolated sphere segments each showing quarter to half section of a round figure. 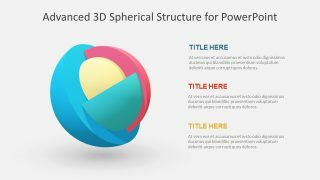 Just like an earth layer structure diagram, this 4-step 3D sphere model is perfect to demonstrate several three-dimensional concepts. 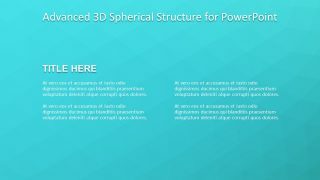 Such as space concepts, spherical geometry, and more. 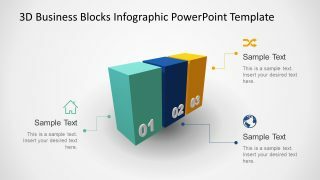 Further, it is a complete presentation template to discuss four layers in details. 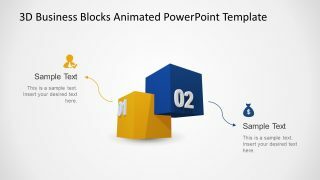 There are 11 slides to present these details with special animation effects. 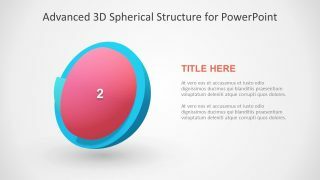 The 3D Model Segmented Core PowerPoint template of multi-layer sections is ideal for learning and research related presentations. Because it can describe the central idea as core using a creative diagram design. 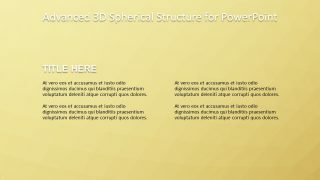 The users can simply edit its text placeholders i.e. headings, titles, and description segments. 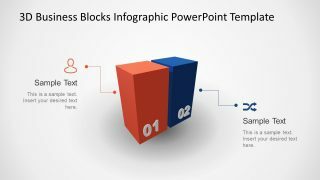 In this way, they can deliver an attractive or easy to understand presentation in less time. 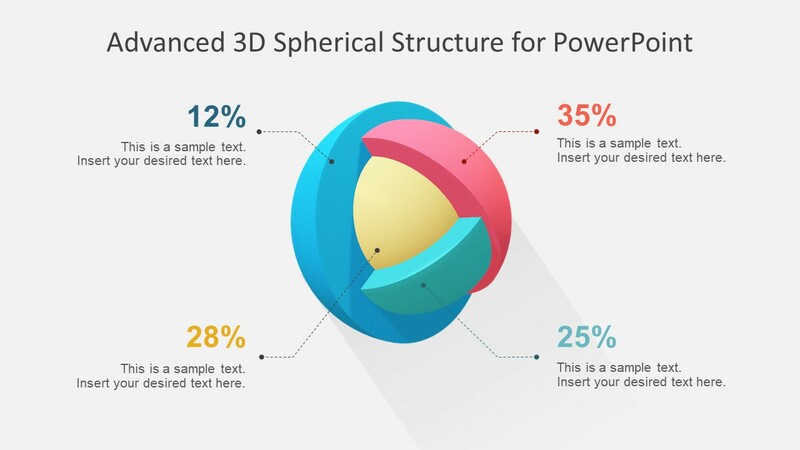 Here, the first slide shows a percentage distribution of each layer. While the additional layouts display an animation with zoom effect. For instance, a zoom effect at the surface of each sphere surface from outermost to an innermost unit. The use of layered-structure can explain a relationship i.e. sequence or hierarchy. 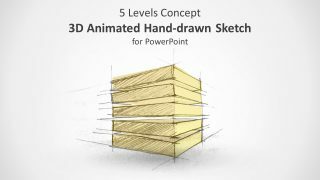 Therefore, the 3D model to enhance the visual of 3D layer concept presentations. 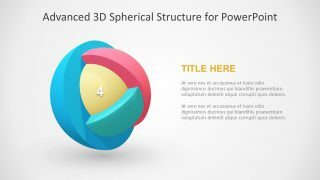 This 3D PowerPoint Template is an onion concept core diagram of multi-layer sphere segments. 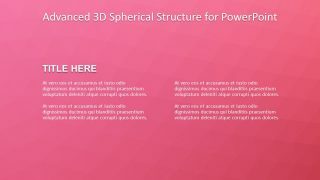 Although the slides of 3D model PowerPoint have slide transitions giving it an animated effect. 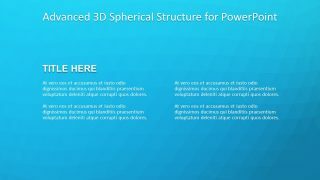 The users can apply additional changes including 3D animation effects, resizing, or rotating in 360 degrees. 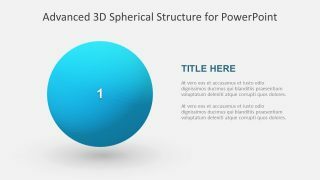 Alternatively, they can find a range of such designs in SlideModel catalog including 3D sphere diagram and 4 semi hemisphere diagram.